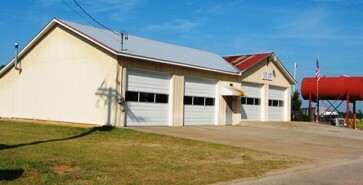 Farmington now has a new fire station that will turn one’s head! It is a “State of the Art” Station built by Oconee County from SPLOST Funds. I understand that the Board of Commissioners budgeted $ 1.9 Million for the project and it was finished within the budget. It was built to last 50 years. However, as with the jail and other fire stations etc, it may not last that long. Future officials may have different ideas about what is needed. It is located on Old Farmington Road with low visibility to the public. Reportedly, the county tried to locate land on US 441 but did not find the 3 acres or so needed. 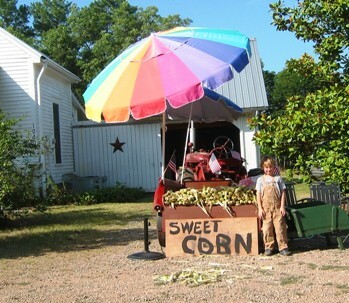 To locate it, one turns at the Depot and drives to the Stop Sign beside “Carson’s Store”. At the intersection, one turns left and drives north less than a half mile to see the station on the left. The Old Farmington Fire Station was built sometime in the 60’s-70s and added onto by the county and by volunteers over the years. 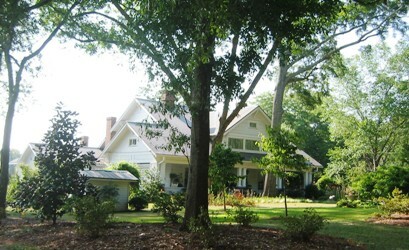 It served as a polling place and a gathering place before the Community Center was built. A lot of camaraderie originated there with the Volunteer Firemen and the community. Farmington has a historic past. It once had a city charter but years ago became a dormant municipality until the state repealed such charters and granted Historic Town status to the village of Farmington. 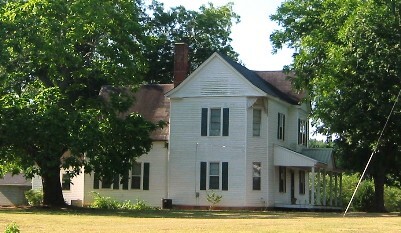 The Old Farmington School was converted to a Community Center that burned in the late 80s’. Citizens, the county and state grants helped rebuild the current Community Center that is used by many folks for reunions, meetings and other purposes. I have attended many, many reunions in that building. In the late 80’s, Farmington, with the leadership of the late Mack Kilpatrick, established the Farmington Cemetery Fund to provide maintenance and upkeep for the Historic Cemetery. 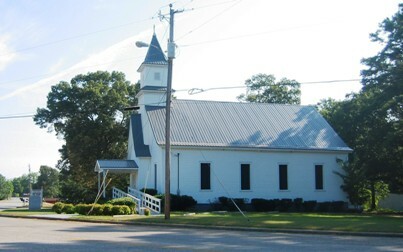 The cemetery and funds are currently administered by the Trustees of the Freeman Creek Baptist Church, Inc, a Georgia non-profit corporation. Oconee County plans involve a future station on Barnett Shoals Road near the McRee’s Mill Road area. Because of septic, turning area etc, about three acres is needed. For a long time, the county has looked for a site- even in the late 90’s. This area, especially across the Oconee River, is not covered very well with the current station locations. ISO ratings will push for that station. ISO ratings also may cause the Barber Creek Station to be changed to accommodate ladder trucks needed for the commercial structures in that area of the county. I wonder what Mack would think of the new fire station.